Did you know you can easily host your Eclipse update site on Bintray.com? Use the predefined ‘generic’ repo (or create a new one) if you are generating a plain P2 update site, or ‘maven’ repo if you are generating a Tycho zipped site, and create a package for your site. Upload the Eclipse update site meta files (content.jar, artifacts.jar, etc. for site, or zip file with Tycho site) under the latest version, typically to the root path. 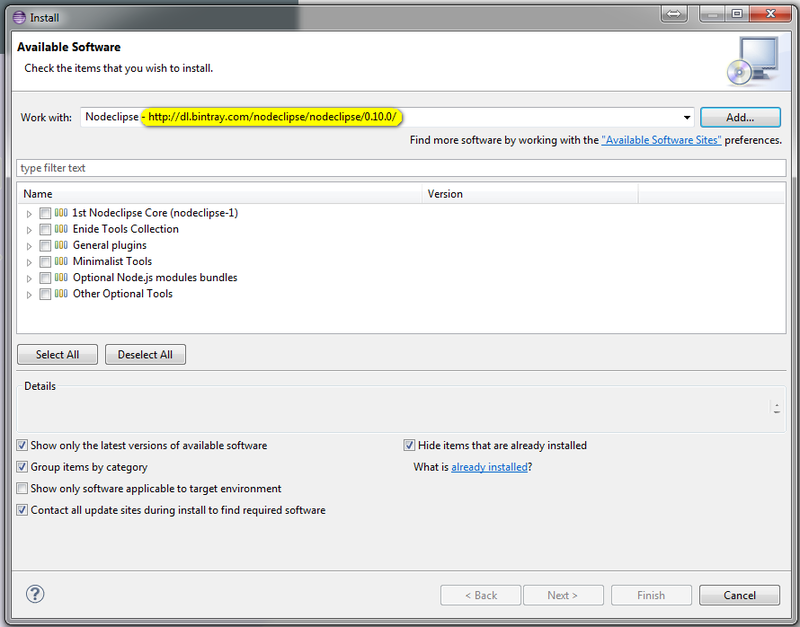 Click on the “Set me up” button on the package page to get the necessary URL to use in Eclipse. Cool, right? Well, almost :). Nodeclipse created an update site for each version (notice the ‘0.10.0’ at the end of the URL). It means that users may need to change this URL in their Eclipse settings for every new version released. That’s because up until recently you couldn’t override P2 metadata files. Expect the upcoming release of Nodeclipse to follow this improvement :). You get an awesome and free distribution platform with near-real time statistics, download-able request logs and and metadata. Your users get lightening-fast downloads via a CDN directly from Eclipse, plus lots of new ways to get involved with your package. For example, the ability to follow organizations and users, or to review, rate and watch packages. And oh, did we mention that Bintray is completely free to use for open-source packages?